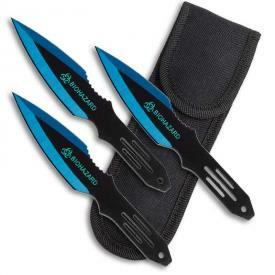 When you need throwing knives turn to KarateMart.com to supply your needs. 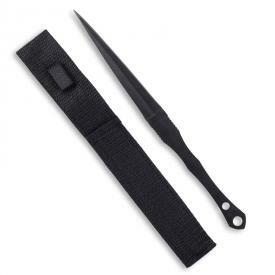 One of the most common weapons used for versatility and convenience is the throwing knife. At Karate-Mart we have a great selection of discount throwing knives for sale and are constantly updating our website to include new weapons you can throw. 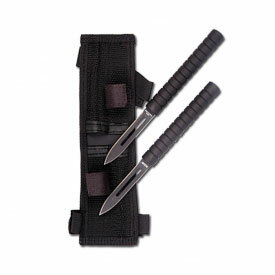 Our knives are weighted and balanced just right. 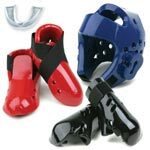 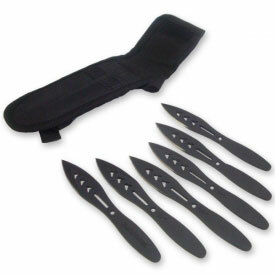 They come in different shapes and sizes and they are all made with the enthusiast blade thrower in mind. 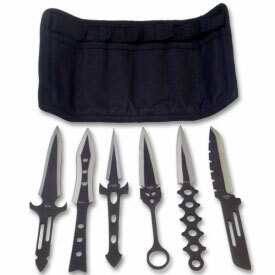 Do you like your knives to arrive in sets? 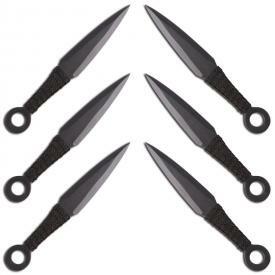 When it comes to a good throwing knife, the more the merrier! 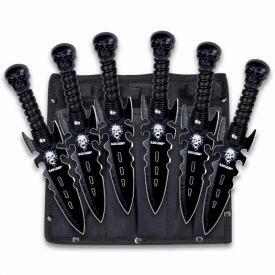 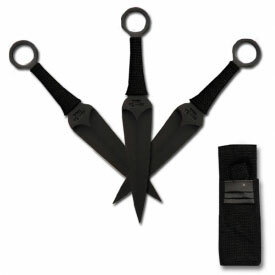 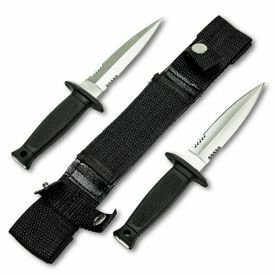 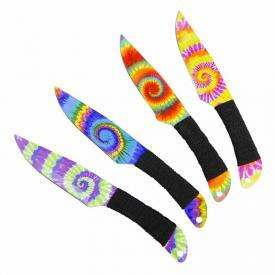 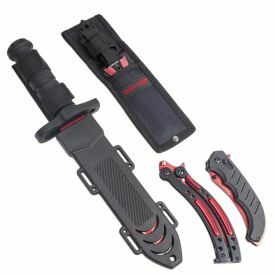 Check out sets like our ever-popular Black Ops Throwing Knives or the Lightning Bolt Throwing Knife Set! 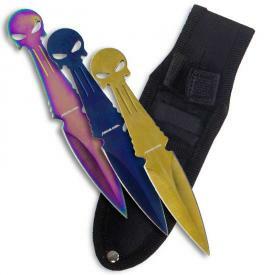 They offer some of the best bang for your buck you'll find! 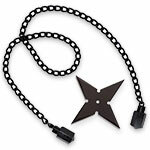 Do you prefer the solid weight of a well-made kunai? 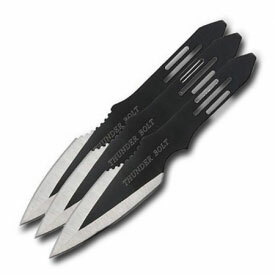 Maybe you prefer a spear point? 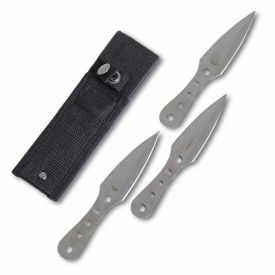 Drop point? 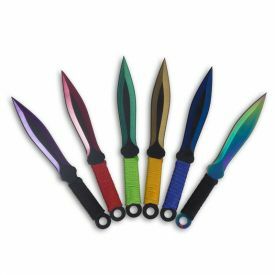 Something way more exotic? 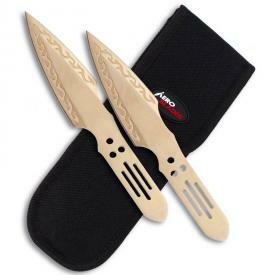 Whatever your fancy, we know you'll find something that grabs your eye as you browse our amazing offerings! 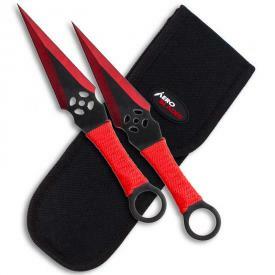 Finally decided on what great throwing knife you'll be adding to your cart? 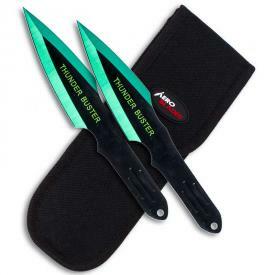 Trust us, you're going to want to pick up a throwing target board or target poster to go with those new knives. 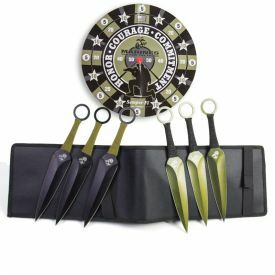 Nothing beats setting up the perfect backyard throwing knife range and setting up some fresh new target posters to show of your deadly aim! 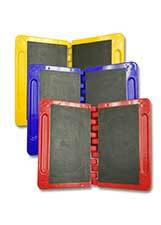 Take a quick trip over to our Throwing Targets area for one awesome selection of target boards and posters. 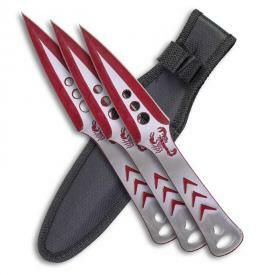 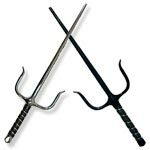 Many of the KarateMart employees are skilled in the use of throwing weapons. If you ever have a question about which throwing knife to purchase, please contact us. 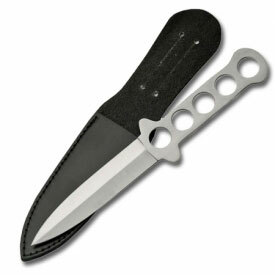 We'll be happy to grab a throwing knife from the back and describe it to you in full detail!